Pinteresting is the new tweeting, or at least that’s what we heard. In January alone Pinterest grew 44% in referral traffic and jumped from 7 to 11 million users, which kind of makes it the new hot social network out there. A virtual, interactive bulletin board where everyone can pin their interests, find inspiration, and drive traffic to their website. Personally, I see Pinterest like a virtual scrapbook. According to the website, ‘Pinterest lets you organize and share all the beautiful things you find on the web. People use pinboards to plan their weddings, decorate their homes, and organize their favorite recipes’. 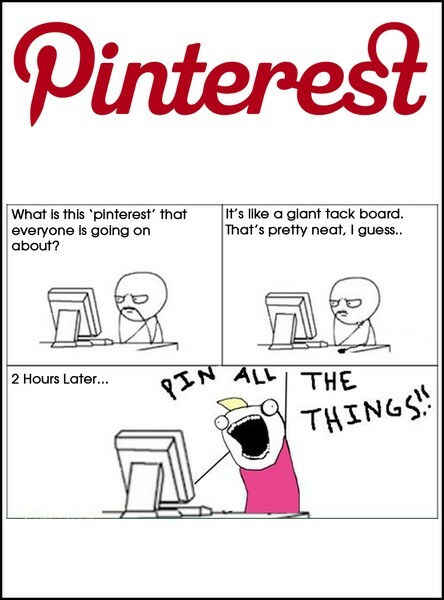 Basically, you build a collage of images or videos you find ‘pinteresting’ by pinning them to your Pinterest board. How can this be useful, you make ask? Well, after surfing the website for a few days, we found 10 ways in which Pinterest can make your life a little easier. Here we go. As the creators of the website point out, Pinterest is ideal for planning an event, such as a wedding. You are able to get all your ideas in one place, pin photos of outfits you consider wearing, flowers or food. Other can comment and like you pins, and, most of all, everything is in one place. Let’s not forget that Pinterest is a social network. It allows you to follow others with similar interests (or pinterests, to be more exact), comment, repin and like their posts. You can also follow you favorite brands. By surfing through pins you may easily get inspired. Especially if you are a blogger – until now, Pinterest users mostly share home decorating ideas, recipes, places they would like to visit or outfits they fancy, but after you get the hang of it and start following the right people you can stumble upon some interesting content. And if you ever get writer’s block, a lot of motivational quotes and pictures are only two clicks away. Before Pinterest, I used to have a folder in my bookmarks labeled Music. Besides the fact that it was getting really crowded, surfing through my music choices was difficult. Now I have all my songs in one place, and I can add a short description to each one. Pinterest is a place where people post about the things they love, so it is a great way to get to know your target customer better. See what they pin, what they like and who they follow, read their comments and figure out what makes them tick. If they pin content from your website, see how others react to it. You can also pin products you are working on or ads for your business and get instant feedback. Pinterest also allows you to create boards where contributors can share ideas, so it’s an easy way to communicate with your colleagues if you work on a project together. Pinterest now drives more referral traffic (3.6%) than YouTube (1.05%), Google+ (0.22%), and LinkedIn (0.2%) combined, according to Shareaholic’s January 2012 Referral Traffic Report. When people pin things from your website and others click on the image they are redirected to the original source of the image or video. Pinterest is a great resource for infographic lovers. You can find everything from the history of beer to the history of advertising. Create an accomplishment board to remind yourself what your goals are or to take the time to appreciate what you’ve already done. Or a gratitude board, so you can easily surf through what you are grateful about, such as places you’ve visited, book you’ve read or, why not, mentions of your work on the www. There are a lot of funny images and interesting videos on Pinterest. Use the search box to find stuff you might enjoy, sit back and enjoy a 5-minute break. For now, since it’s currently in beta, interested Pinners will have to secure an invite. 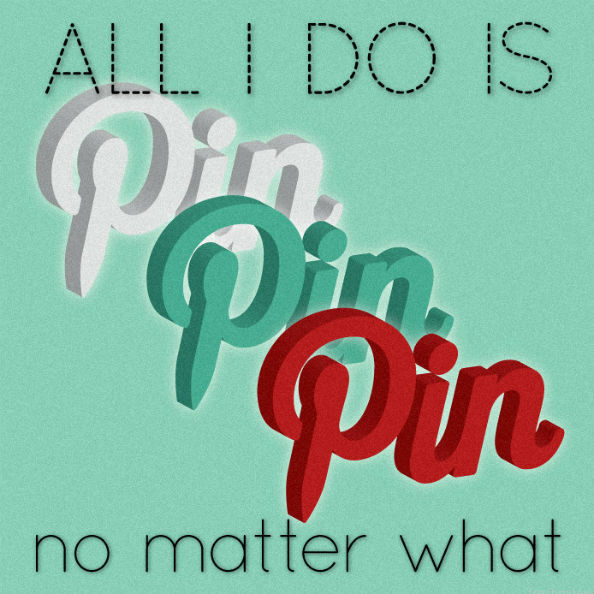 Happy pinning everyone! Bloooo spends her days surfing the Internet and watching TV shows and movies. When she is not working as a journalist, sort of. She does not enjoy politics or economy, but is a big fan of cartoons, social media and dogs. And, most of all, she really hates frogs. 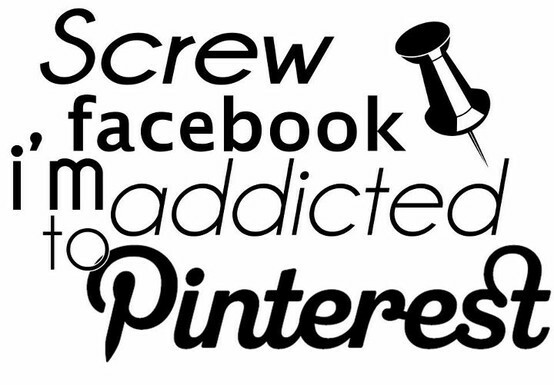 Informative post…one of the better ones about Pinterest. I’m hooked.